MARK Richards has made it as clear as he hopes the sailing will be all the way down the coast of Australia. 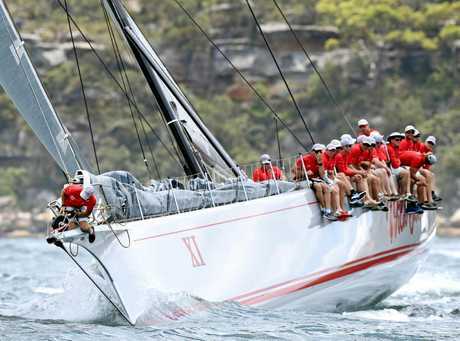 Not content with a record eight line honours wins in the prestigious Sydney to Hobart Yacht Race, the skipper of Wild Oats XI wants the title back after succumbing to drama on the high seas 12 months ago. Richards has managed to get the 100-foot supermaxi safely to Hobart in all but one of its previous 11 berths in the blue-water classic - a 630-nautical-mile race that sets off from Sydney Harbour each Boxing Day ... and is not for the faint-hearted. The journey can be arduous - at times deadly. Last year Wild Oats bore the brunt of a ferocious first night with gale-force winds, sail damage sending her to shore early. Richards, however, said it wasn't just the conditions that got the better of his crew, and allowed American raider Comanche to cruise up the Derwent River in first place and on to victory. "We were our own worst enemies last year ... silly mistakes we had never made before put us out of the race,” Richards recalls. "We want to make sure we do a great job this year. Though Wild Oats is now 12 years old, the yacht that has twice won the triple crown - breaking the race record and winning line and handicap honours - Richards has it in the best shape of its life. It is the first time it hasn't undergone a radical overhaul during preparation, and showed just how fast it can be when winning the Big Boat Challenge earlier this month. "We will be the best prepared that we ever have been,” Richards says. Wild Oats, which holds the race record of one day, 18 hours, 23 minutes and 12 seconds from 2012, has had its critics, however, with Richards forced to defend accusations it exceeds the legal length for a Sydney to Hobart supermaxi. David Salter's recently released book Ragamuffin Man: The World of Syd Fischer, about the life of the octogenarian sailing icon, brought into question last year's $2 million modification of Wild Oats, suggesting its newly designed bow made it longer than the maximum 100feet, stern to stern. But Australian Sailing re-examined the vessel this year and - as it did last year - deemed it was still operating within the rules. "We've done everything by the book,” Richards says. "We've had certain things thrown at us but we always come out clean. "People just need to pull their heads in and accept it for what it is. It's sour grapes. 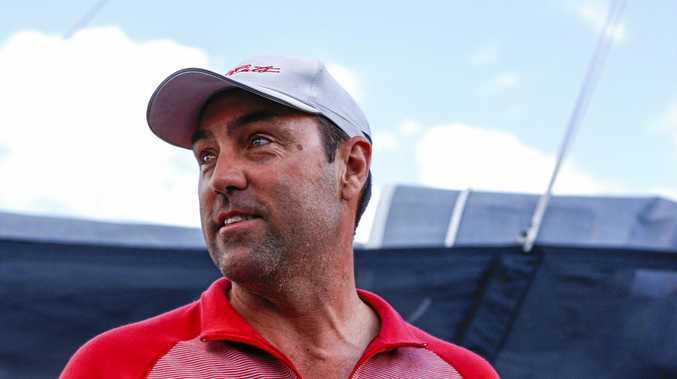 Attacks will come thick and fast out on the water too - not from Comanche, owners Jim and Kristy Clark choosing not to defend the title, but there will be old supermaxi rivals ... though some in new guises. There's Fischer's old Ragamuffin 100, now known as Scallywag, and CQS, once going by the name Nicorette. After taking line honours in 2011 as Investec Loyal, with owner-skipper Anthony Bell at the helm, Ragamuffin 100 finished third across the line in 2014 and second in 2015 when owned by Fischer. The yacht has has since been bought by Malaysian-born, Hong Kong-based businessman Seng Huang Lee, who grew up in Sydney's eastern suburbs idolising the big boats. Skipper David Witt has been buoyed by weather forecasts and was predicting Scallywag to stay with Wild Oats every step of the way. Witt's certainly hoping for a better run than in the Big Boat Challenge, when Scallywag narrowly avoided a catastrophic collision with a patrol boat assisting with traffic control. "We all know things can change with weather but right now it's looking good for us and Wild Oats,” he said. Another big challenger will be another rebranded - and rebuilt - former champion in CQS, owned by Ludde Ingvall, a former round-the-world yachtsman from Finland. Ingvall took the yacht then known as Nicorette III to line honours in 2004 (when 90 foot). Now the maximum 100-foot beast, it was only launched a month ago. "All we have to do is learn how to sail the boat to its full potential, and the Sydney to Hobart race will be part of that learning curve,” says Ingvall, who also powered home 79-foooter Nicorette II to line honours in 2000. But CQS hasn't been without its own setbacks with the mast having to be replaced after cracks appeared in the original. With a predominantly New Zealand crew, CQS showed its capabilities last month when winning the Round White Island Race off Auckland in record time. Rounding out the big four supermaxis contesting the race is Perpetual Loyal. 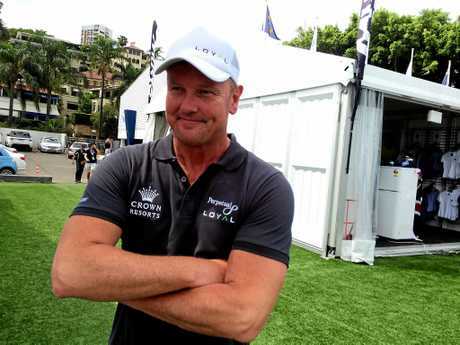 Its crew also know the sweet taste of success - owner-skipper Bell for one after his win in 2011 when helming Investec Loyal, while another nine have been enticed to jump ship after being aboard Comanche. "After our damage last year (to the hull), we need to get Loyal back in racing mode and these guys have been fantastic,” Bell says. Bell has also brought back one of Australia's top sailors, 2012 Olympic champion and America's Cup winner Tom Slingsby, for a third time. "All of these boats have their strong points (but) at the end of the day it comes down to conditions,” Richards says. He knows only too well. 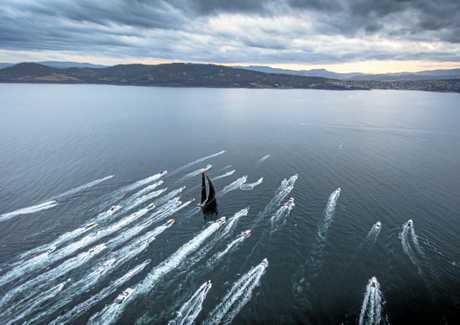 While the battle for line honours looks a race in four between the supermaxis, top contenders for the overall (handicap) honours include the 80-footer Beau Geste, from New Zealand, and defending champion Balance.